The children and families of LCC periodically assist by volunteering in our family-centered fundraising events. 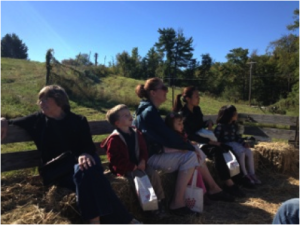 Headed up by the school’s Board of Directors, the events not only raise funds for the not-for-profit center, they also provide fun and stimulating events the entire family can enjoy! LCC is a not-for-profit educational center; we rely greatly on parental, alumni and community support to help us and make each event a success. Participate – They are fun and family focused, with an emphasis on children. Donate – We are always looking for prizes for our raffle, silent auction and other events. We are also very grateful for any services a community member can donate such as grounds upkeep, school maintenance or craft/skill. Also see our Needs List. Cash donations – We are extremely grateful to any community member or business who is able to support us with a cash donation or grant. All cash donations are 100% deductible! If you are able to support us with a donation please contact the director at briana@ledermanchildrenscenter.org.